This One of a Kind, Custom guitar strap is truly a work of art, made from black chap leather, and each zebra is created from double-layered kidskin. Jeri always goes nuts over Cappiello, and yearns for the original poster this design was inspired by. 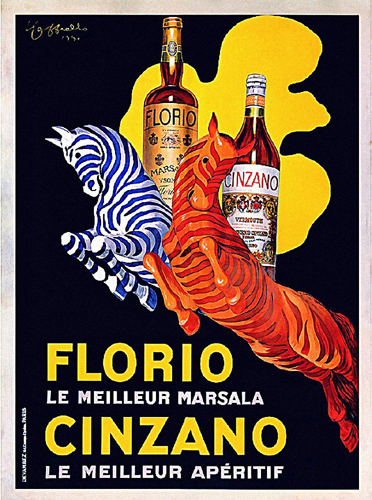 Leonetto Cappiello was a French and Italian Poster Artist in the early 1900's. The strap is soft and supple, with a black suede backing and our signature adjustment buckle in blackened Brass.